Spring classes will start up after Easter and we look forward to having the children continue their creative quests and expanding the studio into outdoors where our beautiful garden awaits to be taken over by kids making art as days get sunnier! P.A. 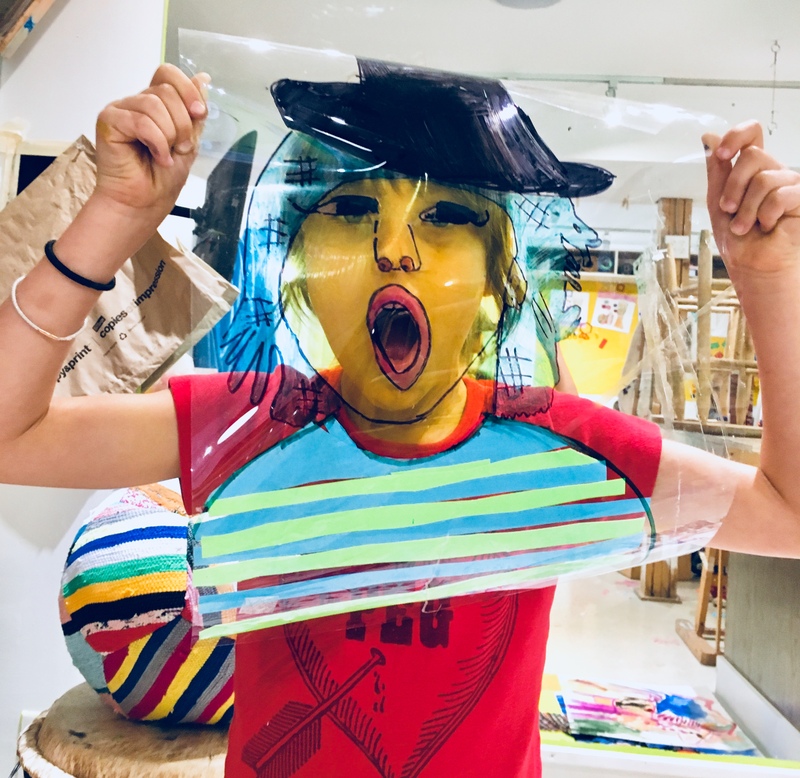 day camps at My Artlab are a great way for children to spend the day off from school and get reconnected with their most imaginative and creative side. Over the course of the day children are guided to plan and realize an art project which is presented to parents at the end of the day. Sometimes this is a simple performance or presentation, other times it is an installation created by the children, an invented story, a sequence of images. The camps always have a theme that is open to unique interpretation by each child. Days are full of action and incorporate group games in our garden and a short walk to a nearby playground. Children need to wear running shoes and comfortable clothing and bring a lunch and two snacks.